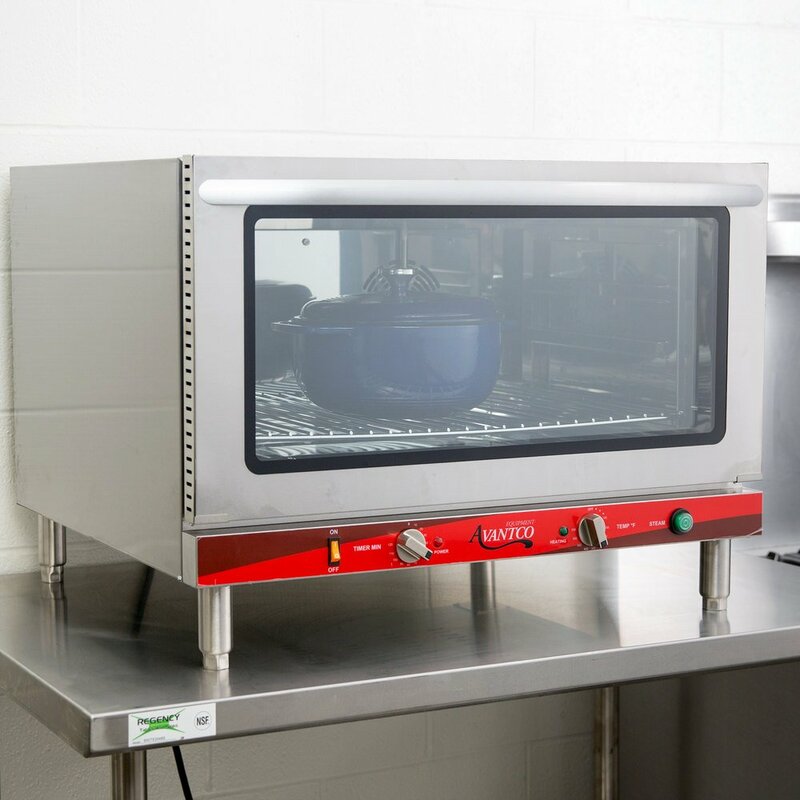 Delivering power and versatility, this Avantco CO46 deck full size countertop electric convection oven is perfect for any busy commercial kitchen. 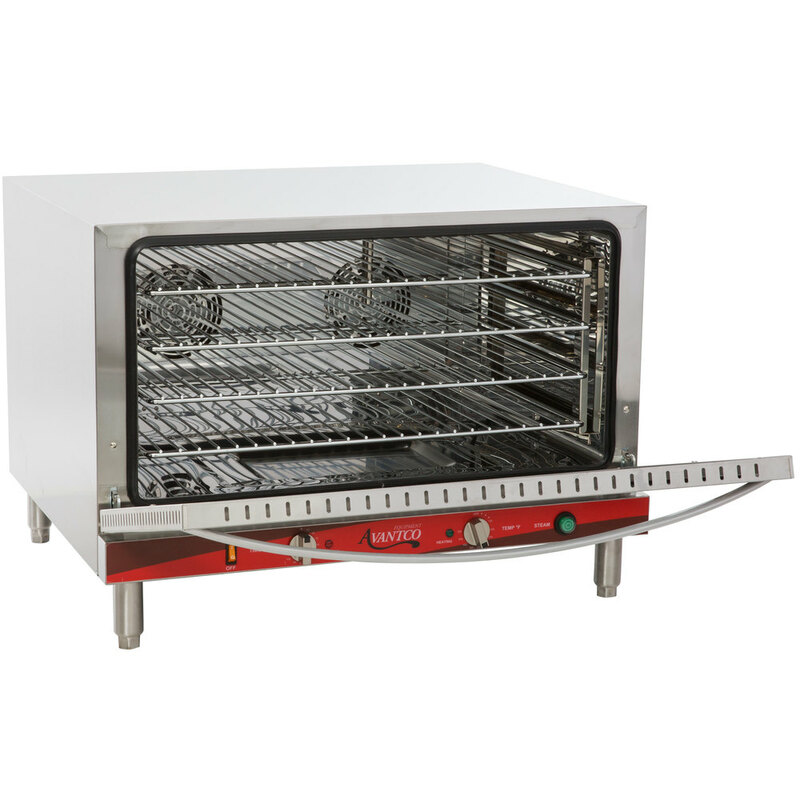 Powered by 3500-4600W, the unit is equipped with two dial controls for adjusting the temperature between 150 and 550 degrees Fahrenheit and setting the timer from 1 to 120 minutes, respectively. Each dial is accompanied by an indicator light too, which alerts the user to when each function is in operation. 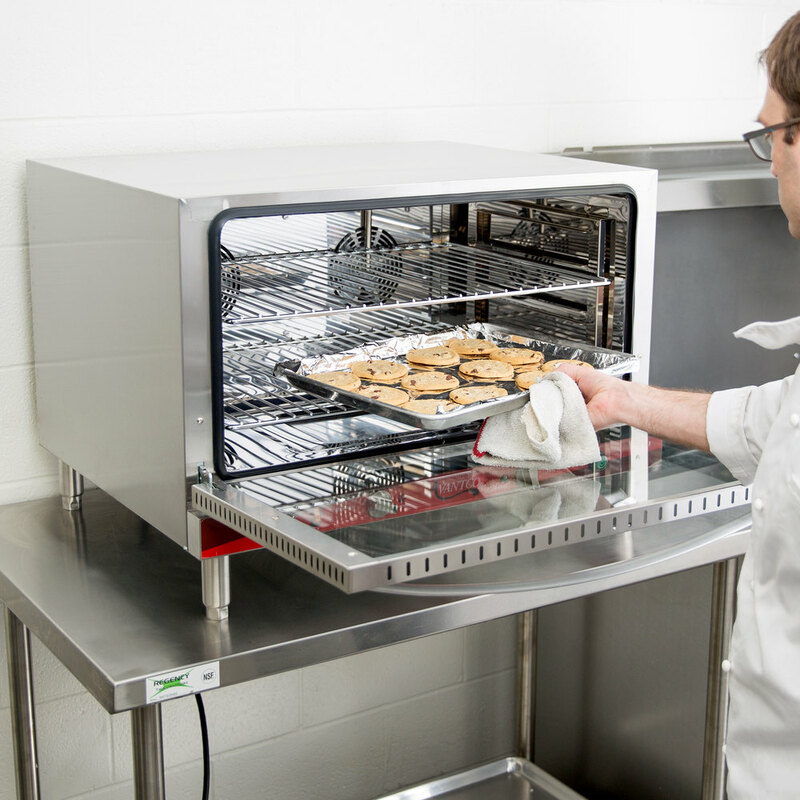 To produce consistent, high-quality results, the oven features a green push button that adds a burst of steam to the cavity while cooking. 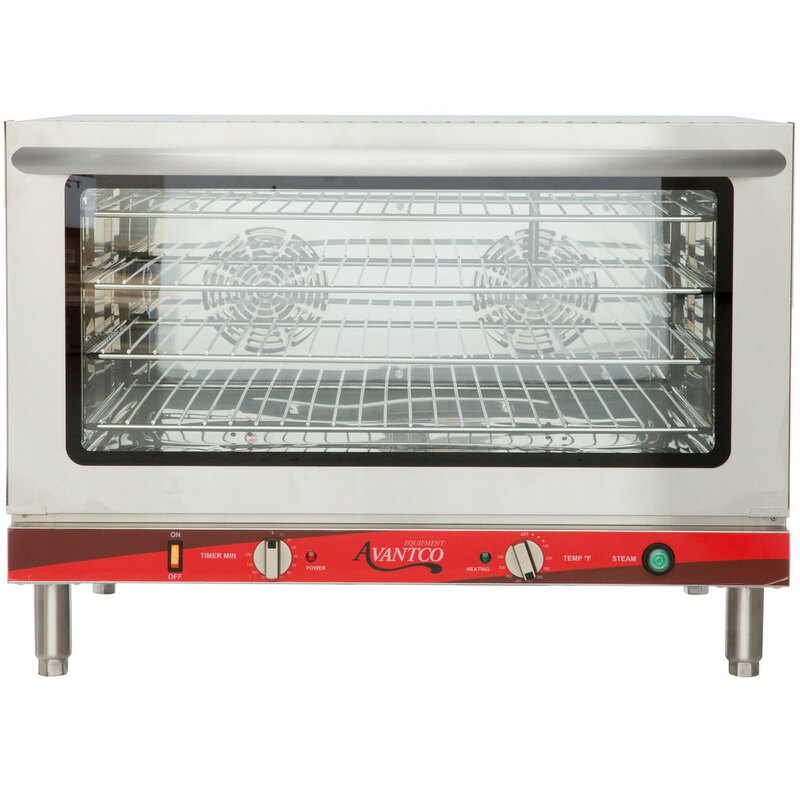 This helps product retain its natural moisture, helping you cook juicy meats and bake soft cookies. A full-length handle is attached to the door for easy access into the cavity. Once opened, the door reveals a set of 4 wire shelves, which are adjustable to best accommodate your ever-changing tasks throughout the day. 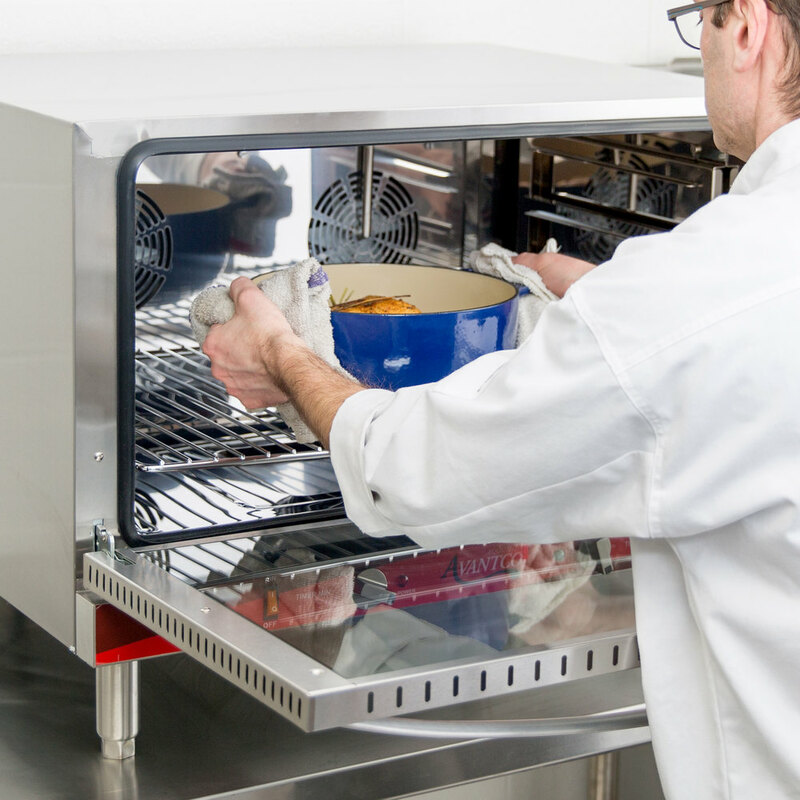 To abide by food safety regulations, the unit is equipped with 4" legs; they raise the oven off of the surface below to ensure that cleaning remains fast and easy. 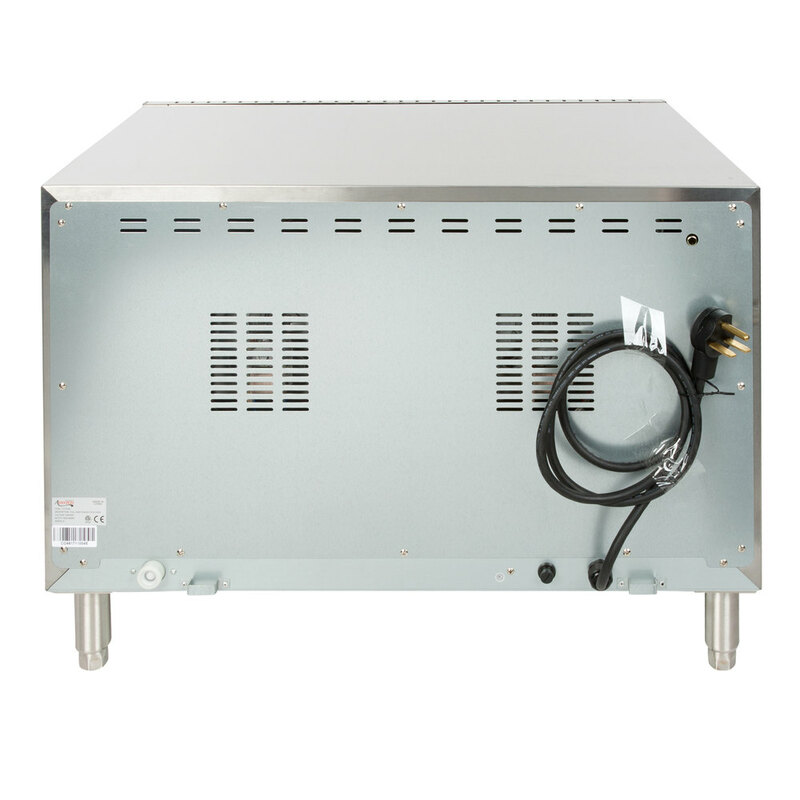 For operation, the oven requires a 208-240V electrical connection.